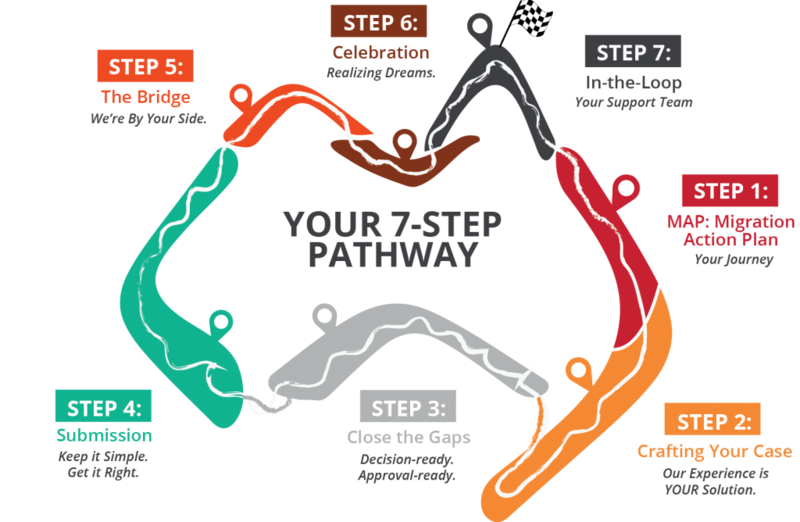 Allow us to take you on your migration journey, and we will guide you through our comprehensive 7-step process to successful migration to Australia. We created our 7-Step Proven Pathway based on our decades of experience, knowing where the gaps are and how to best serve our clients. What we do is manage the process from beginning to end, we take the pain out of the paperwork and guide you towards your final destination: your Aussie visa. This is the process that has given us such powerful results, with over 3000 happy clients who now call Australia home. The first step on your journey is to explore your eligibility. In our initial discovery session, we discuss your goals and dreams and obtain the necessary information and documents from you. We then create your MAP: Migration Action Plan, giving you all the information you need for the journey ahead: our 3 key recommendations, costs, time frames, risk factors and action steps. Book your Discovery Session with Aspire Australia Founder and Chief Dream Weaver, Sarah Gillis either at our Sydney HQ or via an online meeting: https://calendly.com/sarahgillis/initial-consultation. Once we've mapped out your Australian visa journey and requirements, you'll receive a tailored Start-up Kit to help you gather the data and documents we need to prepare your application so that it is decision-ready. We'll use our experience, knowledge and legal analysis skills to anticipate any issues and construct a water-tight application. We'll increase the likelihood of an immediate decision on your visa application, avoiding any 28-day requests for information, which would slow your application down, by ensuring you have all the required documentation in place. Our goal: decision-ready and approval-ready! Let us research your eligibility and guide and assist you in the drafting of a resume, references and submissions. We’ll help you address the eligibility criteria, and provide certification services where required. State sponsorship opportunities come and go. Using our search tool we will monitor, research and update you regarding your selected regions. We will help prepare your application for State Sponsorship and liaise with the relevant State authority. We take the pain out of the paperwork for you by drafting your application. We take care of the nitty gritty, guiding and assisting you to obtain police clearance certificates, undertake medicals, gather your evidence. We ensure your application is decision-ready by examining and assessing your documents and letting you know where there are gaps. We help you fill those gaps and, when we've got it all together, we'll quality check your application, and send it to you for a final pre-lodgement check before we submit. Our specialist lodgement staff will carefully collate your material to submit electronically to the Department or other body, ensuring that all documents and data are provided, and your application is decision-ready. That means a quicker outcome for you! We don't stop at lodgement! Throughout the whole process, we will be there with you, liaising with the Department and other bodies on your behalf, saving you time and worry. You’ll have access to our team and resources, so you’ll always feel supported by friendly experts throughout the entire process. Imagine your phone lighting up with a call from us, to let you know that your application has been approved! We love making that call to you. We will explain the outcome to you, answer your questions and provide any additional advice that you need before starting your new life in Australia. Your Australian visa is a door to opportunities . We'll be there to continue that journey with you. We schedule reminders for important dates such as visa expiry and eligibility. 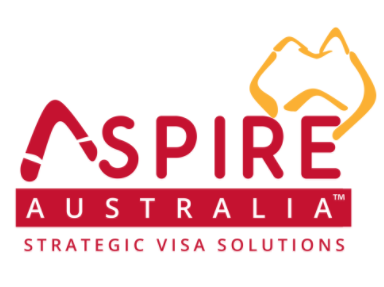 Whether you are moving from a temporary to a permanent work visa, from Permanent Residence to citizenship, to sponsoring a partner, parents or other relatives, Aspire Australia will guide you throughout.